The ECHR has rejected the appeal concerning the potential impact of construction of the Ilısu dam on the Hasankeyf archaeological site. In its final decision for an appeal concerning the potential impact of construction of the Ilısu dam on the Hasankeyf archaeological site, the European Court of Human Rights has, by a majority, declared the application inadmissible. In this case, five applicants complained that the planned construction of the Ilısu dam threatened the Hasankeyf archaeological site, a place of archaeological and cultural interest dating back more than 12,000 years. The Court considered that the application was incompatible with the provisions of the Convention (Article 35 §§ 3 (a) and 4). It noted that there was to date no European consensus, or even a trend among the member States of the Council of Europe, which would have made it possible to infer from the Convention’s provisions that there existed a universal individual right to the protection of one or another part of the cultural heritage, as requested in the present application. 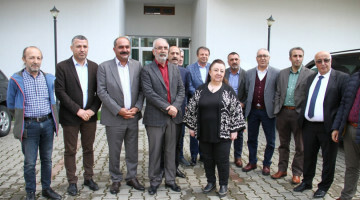 The applicants are five Turkish nationals (two professors, an architect-archaeologist, a journalist and a lawyer), who are or were involved in various projects on the Hasankeyf archaeological site in Batman (Turkey). 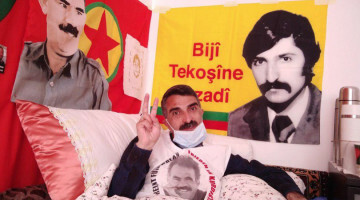 They were born between 1934 and 1963 and live in Turkey. One of them died in 2014 and his wife decided to continue the application. In 1954 the National Water Board began exploratory work on the Ilısu project, focused on the creation of a dam and a hydro-electric power station on the river Tigris. The plans threatened the Hasankeyf archaeological site, which was officially classified as a category-one archaeological site in 1978. In 1982 the Government identified the key areas for a major investment programme aimed at developing the entire region of South East Anatolia (Güneydoǧu Anadolu Projesi), which included, among other projects, construction of the proposed Ilısu dam. In 1991 a budget was set aside for identifying, extracting, transferring, re-erecting and preserving monuments on the Hasankeyf site which were visible or still buried underground. In 1998 archaeological excavation work began and the first discoveries were made at 289 sites. 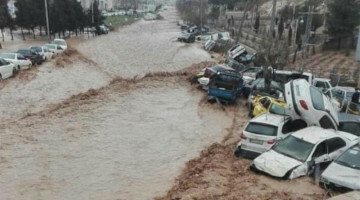 It was estimated that 80% of the Hasankeyf site ought to be protected from the flooding. It was envisaged that the monuments which were due to be covered by the dam waters would be dismantled and transferred for subsequent reassembly in a national culture park. In 1999 Mr Cano (a lawyer, and one of the applicants) lodged a prior request with the Prime Minister’s Office seeking to have the project set aside. Following the tacit dismissal of his request, he applied to the administrative court to have that decision set aside. 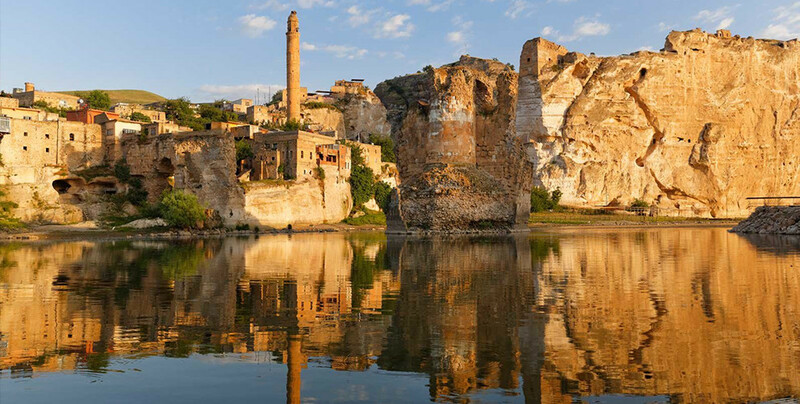 In 2005, once the plots of land in Hasankeyf which were to be earmarked for expropriation had been identified, a public-interest declaration was published. The following year, an expedited expropriation decree was issued and enforced. Construction of the dam is currently 90% completed. At the same time, the work to transfer the Eyyubi, El Rızk and Süleyman Koç mosques is on-going. In 2012 the administrative court dismissed Mr Cano’s action, and the Council of State dismissed his appeal on points of law. He lodged an application for rectification of that decision, but the Court has not been informed of the outcome of those proceedings. The application was lodged with the European Court of Human Rights on 3 March 2006. Relying in essence on Article 8 (right to respect for private life) and Article 2 of Protocol No. 1 (right to education), the applicants complained that the planned construction of the dam was liable to destroy the Hasankeyf archaeological site, which they submitted would amount to a violation of humanity’s right to education, now and for future generations. They also alleged that the plan to move certain monuments from the site would be impossible to implement, and that many of the archaeological remains did not lend themselves to such treatment. In consequence, they asked the Court to indicate preventive measures to the Government before the Hasankeyf site was flooded or the monuments were moved unduly. Lastly, the applicants complained of the project’s disastrous effects on the environment, and more specifically about the irreversible impact the destruction of the site and the dam’s construction would have on the region’s ecology and landscape. The Court reiterated that the provisions of the Convention could not be interpreted and applied in a vacuum. The Court noted that the gradual increase in awareness of the values linked to conservation of the cultural heritage and access to it could be regarded as having created a certain international legal framework, and that the present case could consequently be falling within an evolving subject area. In this context, and in view of the relevant international instruments and the common ground contained in the norms of international law, even if these were not binding, the Court was prepared to consider that there existed a shared European and international perception of the need to protect the right of access to the cultural heritage. However, that protection generally focused on situations and regulations pertaining to the right of minorities to enjoy their own culture freely and the right of indigenous peoples to maintain, control and protect their cultural heritage. In contrast, it did not perceive, to date, any European consensus or even a trend among the member States of the Council of Europe which might have required the scope of the rights in question to be challenged or which would have made it possible to infer from the Convention’s provisions that there existed a universal individual right to the protection of one or another part of the cultural heritage, as requested in the present application. The Court therefore declared the application inadmissible, finding that it was incompatible ratione materiae with the provisions of the Convention (Article 35 §§ 3 (a) and 4).